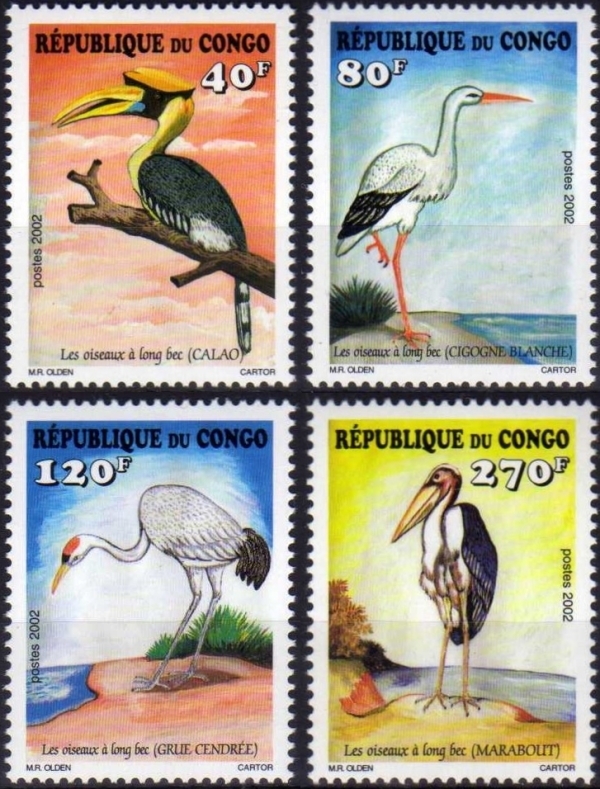 The Universal Postal Union published Circular 64 on March 3, 1997 denouncing illegal stamps at the request of the Postal Administration for the Congo Republic. This circular is noted in a list of circulars posted by the U.P.U. between the years 1996 through 2003. Research is ongoing to find the actual circular. From that time forward no more circulars have been presented by the Congo Republic. This may be due to the political unrest over the years or lack of confidence that the circulars were doing anything to stop them. I could not find any illegal stamps dating in 1996-7 for the Congo Republic. There were many made for the Democratic Republic of Congo though in 1997. The reference sections for both countries will show you a pattern that once again shows Impressor S.A. in control of the illegal stamp producers having them stop production of illegal stamps when Impressor gained contracts, allowing them to run them after they lost the contracts and so forth. The history will unfold and will amaze you as to how incredibly devious these producers and dealers of counterfeit illegal stamps are. As of now (2019) they are still producing them in mass. 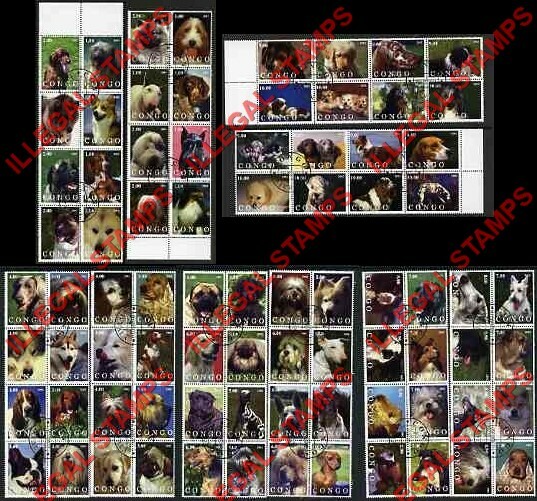 This year we are going to make a difference that the producers and dealers of illegal stamps are going to hate! I have found that for the Congo Republic, the illegal stamps actually started in 2002. Already the same producer was making counterfeits for the Democratic Republic of Congo since 1997. They stopped in 1998 and then started again in 1999. 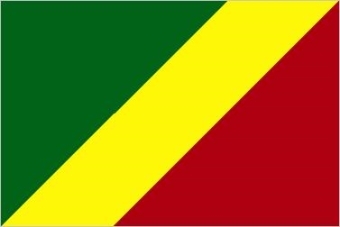 Still all were for the Democratic Republic of Congo until 2002. In 2002 the first counterfeits were produced for the Congo Republic. They were "experimental" as they only used the name "CONGO" with no other words. All stamps for the Congo Republic say "Republique du Congo". For the Democratic Republic of Congo they say "Republique Democratique du Congo". None say simply "Congo". Many more have and are being produced since that time. Most of the illegal stamps described here are still on the market today. They are available through private stamp dealers and their websites. They are available on eBay and Delcampe. They are everywhere! These illegal issues are fabrication of stamps that have never had any postal validity in the Congo and have been denounced as fraudulent. They were and are created by certain greedy, unethical and immoral stamp dealers. Any stamp seller out there that offers these "stamps" either does not know they are illegal stamps or is deceitful and they should be avoided at	all costs. The deceitful ones prey upon unknowing collectors new and old. They prey upon topical collectors mostly because the majority do not have the knowledge that they are worthless in the stamp market. Some are quite obvious because they have hundreds of lots available on eBay and other public auction venues. 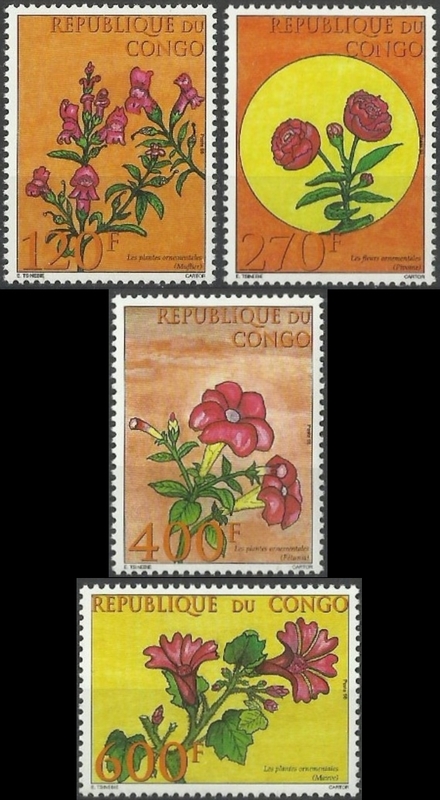 The following images are of illegal stamps produced for Congo Republic. Please remember that the producers of these illegals are not only greedy, they are crude and sometimes disgusting which is the nature	of these people. 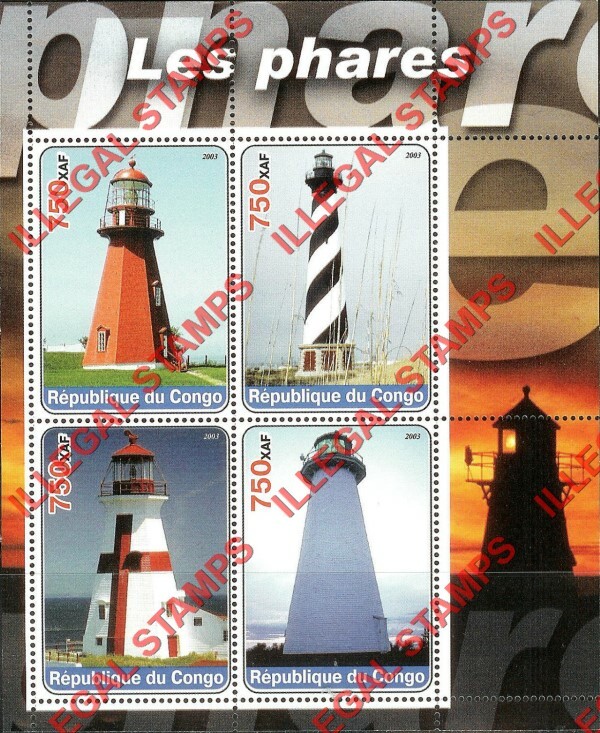 To find out what stamps are real and legitimate for Congo Republic visit the UPU WNS website and look at the Congo Republic section. I have found the Stampworld.com Catalog to be helpful as well although again there are "conflicts" between what is listed there and what is on the WNS system. 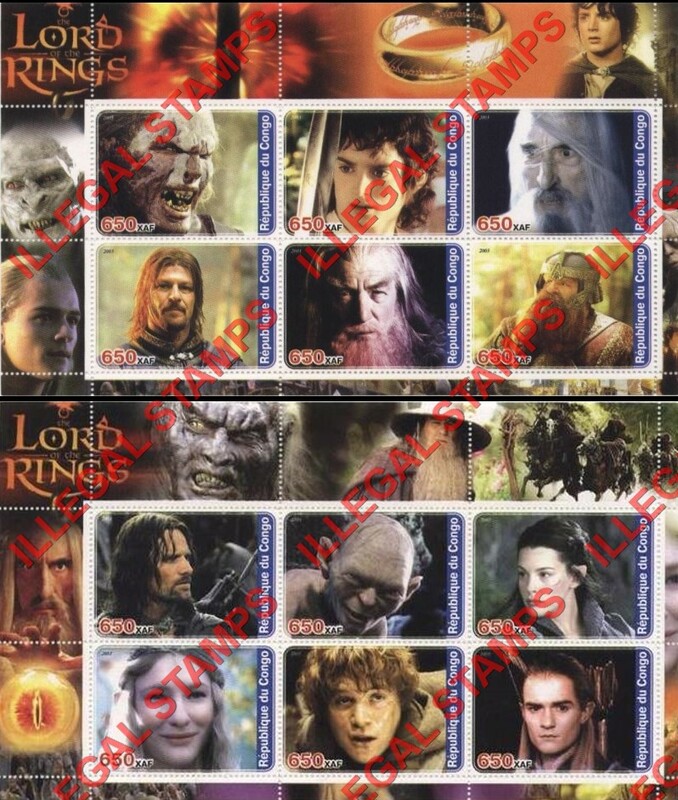 You will find the styles and designs of the following illegal stamps completely different. 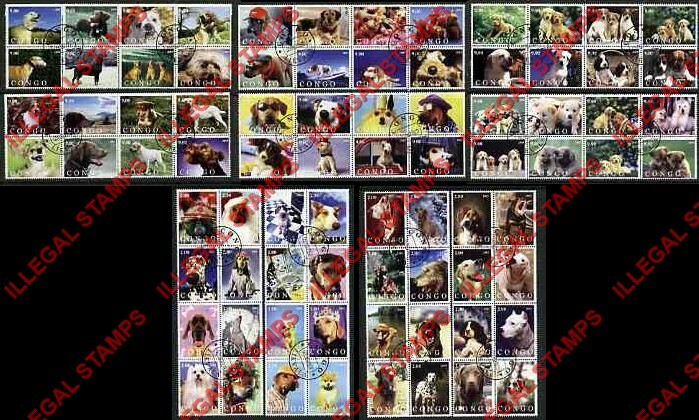 All imaged illegal stamps on this page are for the years 2002 and 2003. The WNS System was developed and started in 2002. 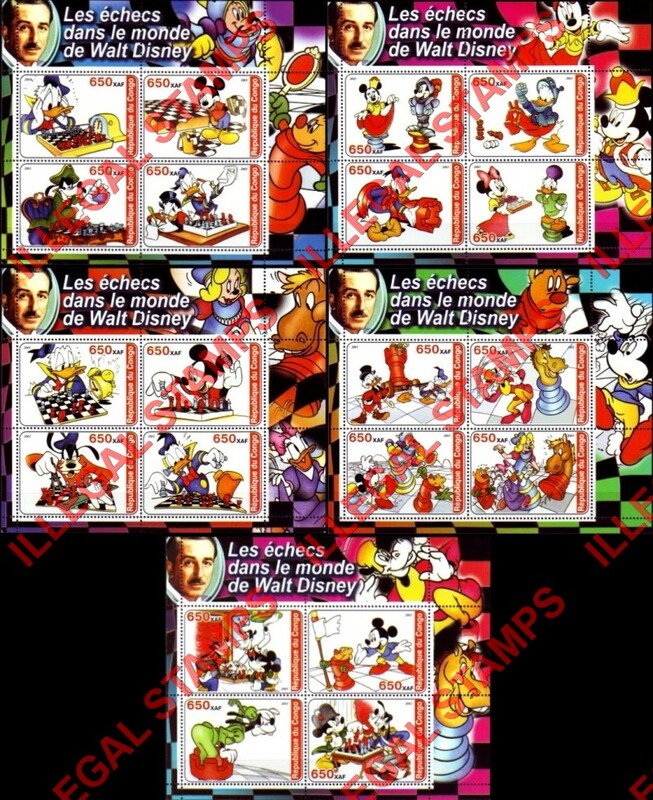 According to the WNS System the Congo Republic officially issued 10 stamps. Both the Colnet and Stampworld catalogs are in agreement. Therefore any stamp dating 2002 in the name of Congo or Congo Republic other than the above stamp issues is a counterfeit illegal stamp! Following are images of the illegal stamps I have found offered for Congo Republic dating 2002. There may and probably are more. All of these I found in searches on eBay and Delcampe and all are illegal stamps made by producers bent on ripping you off! 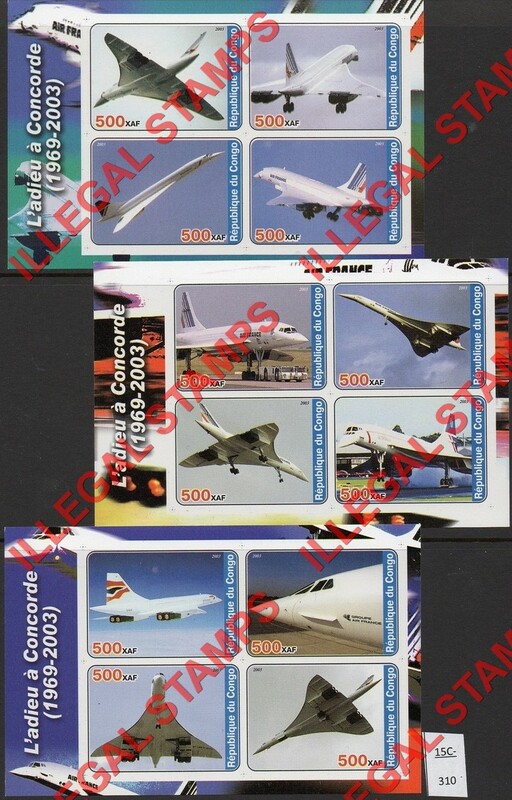 These counterfeit stamps are exclusively offered in this form only on the Avion Stamps website. The stamps are an "experimental" series produced by Clive Feigenbaum as the evidence proves he was the source as they have only been offered by himself and his associates all these years. I note that they only say "Congo" on them. Apparently not working out too well as most savvy collectors know there are two Congo's and therefore there is no way of defining which one they are from. 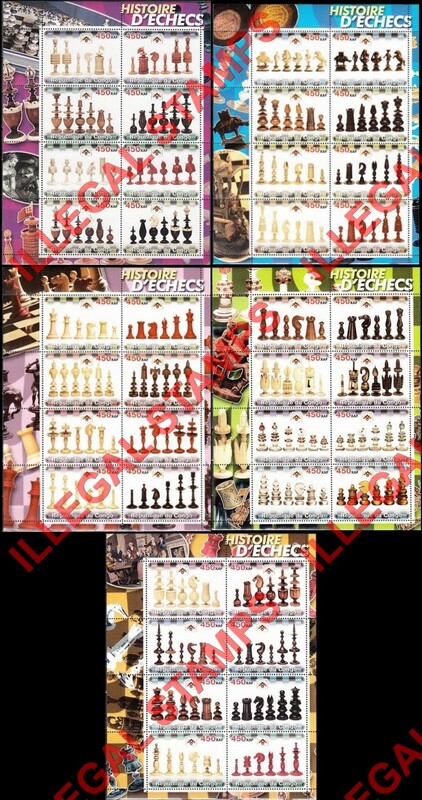 Very few have been offered by other sellers over the years and when they were/are they are just singles from these sheet pieces. Sorry the images are so tiny but they are the only images I could get like this and are taken from the Avion site. 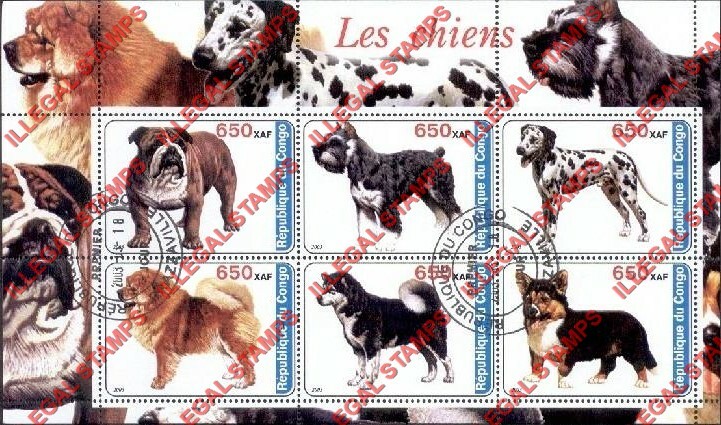 As you can see....no Dogs stamps were ever issued by either Congo in 2002. 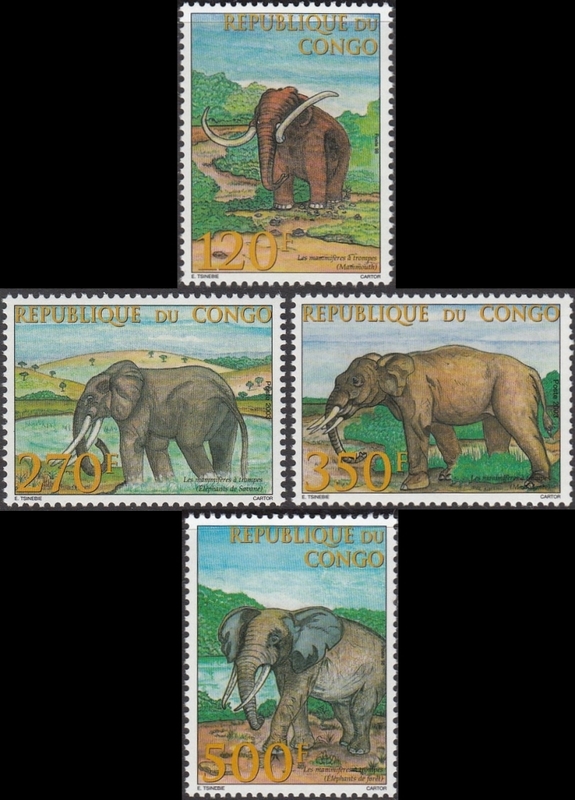 In 2003 the barrage of illegal stamps in the name of the Congo Republic really began. All being the Feigenbaum Stampdile "styles" used in the name of so many countries during this time period. 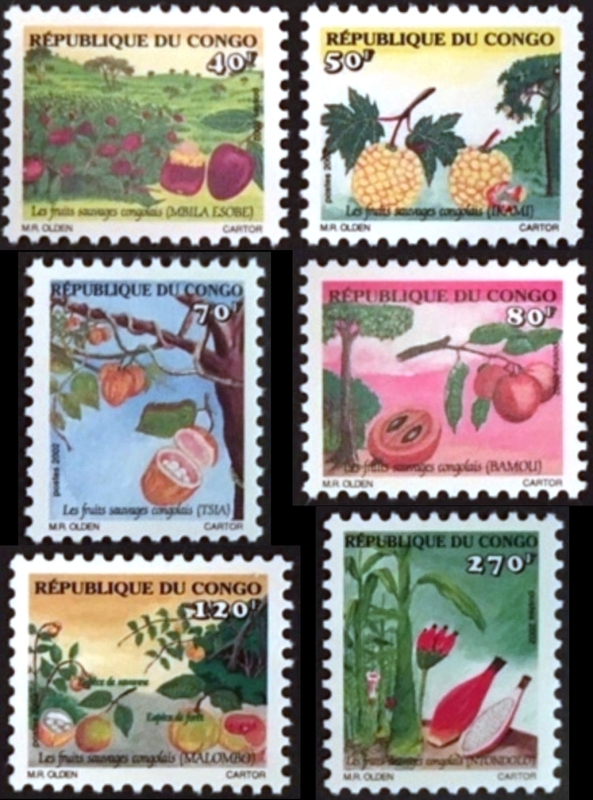 According to the WNS System the Congo Republic officially issued 8 stamps. The Stampworld catalog is in agreement. The Colnet catalog only shows the Mammoths issue and does not show the Decorative Plants issue. Why? Therefore any stamp dating 2003 in the name of Congo or Congo Republic other than the above stamp issues is a counterfeit illegal stamp! Following are images of the illegal stamps I have found offered for Congo Republic dating 2003. There may and probably are more. All of these I found in searches on eBay and Delcampe and all are illegal stamps made by producers bent on ripping you off! Here we go again with a massive onslaught of the dogs. These are now in many collections and packets all over the world. A horribly tiny picture. Exclusive to the Avion/Stampdile sites. Must have been pretty shoddy as I can find nobody else selling it. In 2004 counterfeit illegal stamps continue to be produced in the name of Congo Republic. All appear to be coming again from the same source.